It's amazing how much spare time federal Opposition MPs have. In Tony Abbott's case, the time was put to good use by his penning a sort-of-memoir and sort-of-manifesto entitled Battlelines. In it, Abbott sets out his vision for conservative politics which is at times useful in its coherence and at other times sycophantic to the point of nostalgia in its blanket praise of John Howard and his government. Abbott's book starts with a useful reminder of why all wasn't lost for conservatives when John Howard lost his seat to Maxine McKew. On election night 2007, few could have predicted the imminent fall of the WA Labor government or the electoral problems now besetting other state and territory governments. The Liberal Party is far from unelectable. Indeed dysfunctional Labor governments in NSW and the Northern Territory could become a huge electoral burden for Kevin Rudd and lose federal Labor key seats in the next federal election. It won't be easy, but the Liberal Party can certainly win the next federal election. What's necessary is confidence that the federal Liberal Party has learned from recent mistakes and missed opportunities. I hope that Battlelines will turn out to be a significant contribution to the Liberal Party's policy development and political success. It won't be uncontentious even within the party. There's a difference, though, between fostering debate and rocking the boat. But what if the boat is already sailing through choppy waters? Surely any contentious movement will make other passengers feel the boat is rocking unnecessarily. ... came on the very day that Malcolm Turnbull recorded his worst Newspoll rating as preferred prime minister 16 per cent to Kevin Rudd's 66 per cent. 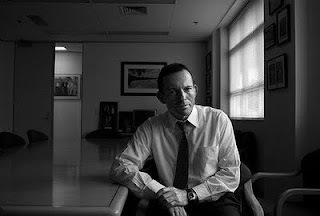 ... Abbott's first crack at remaking himself as a real contender for the Liberal leadership. Abbott has never shown any sign of disliking the inference. Some will wonder whether the Australian electorate would be ready for "Captain Catholic" to rule over a country where Buddhism, Hinduism and Islam are the fastest growing faiths. Then again, many wondered during the mid-1990s whether John Howard, the man who suggested that Asian migrants may not make a neat cultural fit, could one day become Prime Minister of a country located closer to Kuala Lumpur than London. Abbott is certainly conscious of this, and devotes some time in his book to explaining his interest in the priesthood and what Catholicism means to him. Abbott's clear preference seems to be enjoying the company of men of faith whilst not being as faithful as he would like. Hence he gave up on the priesthood and realised that the "living Jesus" was "only a second-hand presence" in his life. There was a time when Abbott's alleged Catholic fundamentalism led to the accusation of his wishing to impose his rosaries on the ovaries of Australian women. Yet in Battlelines, Abbott takes a decidedly unorthodox view on the subject, placing himself in the same category as former US President Bill Clinton who declared that abortion should be safe, legal but rare. It's not realistic to expect most young adults in this hyper-sexualised age to live chastely for many years outside marriage. People have not so much abandoned traditional mores as found that the old standards don't so readily fit the circumstances of their lives. Abbott's book isn't just about de-frocking his "mad monk" image. He shows useful leadership in key policy areas and often in a manner that could put him at odds with key Liberal stakeholders. Abbott supports paid maternity leave and believes that employers (including small business) should carry the burden. Abbott acknowledges that this isn't a traditional conservative position. Conservatives have been ambivalent towards maternity-leave schemes lest they encourage women to forsake their traditional roles. ... who often felt torn between the demands of parliamentary life and the duties of motherhood. ... a 'strong Liberal' and 'very anti-republican'. Most of my hosts thought I was a virtual communist! Yet the manner in which Abbott defends the Iraq war would make any American host regard him as naive, if not imbecilic. Tellingly, Abbott doesn't mention words like "torture" and "water boarding" in his discussion on foreign policy and the war against terrorism, despite his repeated references to conservative values such as support for the Rule of Law. Which I guess means that, should Abbott ever become Prime Minister, our nation's foreign policy battlelines will continue to be drawn by Washington. Irfan Yusuf is a Sydney lawyer and former federal Liberal Party parliamentary candidate. This article was first published in the Canberra Times on Tuesday 8 September 2009. UPDATE I: For more stuff on Abbott's terrific book, you can read my review in New Matilda here. UPDATE II: My goodness! even Bob Ellis has nice things to say about Abbott's book.